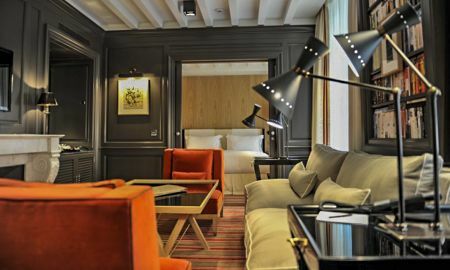 Anchored in the center of the Faubourg Saint-Honoré, the boutique hotel Marquis is a brand whose name pays homage to Marquis de La Fayette, who lived in this beautiful eighteenth century many years ago. 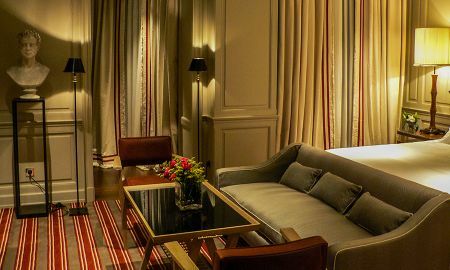 Conveniently located in the center of Paris, the hotel allows guests to explore the most beautiful sites of the city of lights including Avenue Champs-Elysées, the Louvre and the Opera Garnier and the Place Vendôme with its famous jewelers. This magnificent mansion was completely redesigned by architect and designer Michele Bonan. 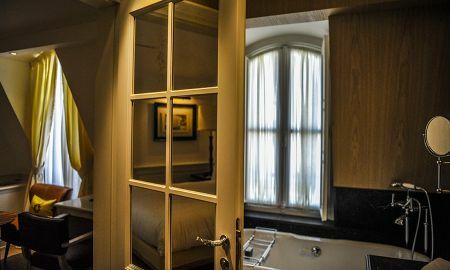 Now offering 15 luxury suites housed in a cozy atmosphere where travelers can relax away from the bustle of Paris, the hotel is sure to delight guests traveling for purposes of both business and pleasure. The Marquis is equipped with all the latest technologies including a fabulous gym to ensure guests’ optimal comfort throughout their stay. For those wishing to relax, the hotel offers welfare services with healthcare provided in institutes near Marquis or in guests’ suites. The warm and friendly assistance of the hotel’s staff is sure to make guests’ stay a memorable one. 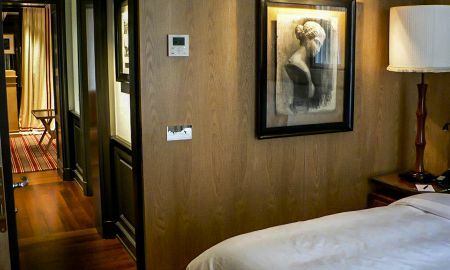 Centrally located in the Faubourg Saint-Honoré, the boutique hotel Marquis is close to many attractions such as the Louvre and Orsay museums, the Grand Palace, the Tuileries Gardens and the Royal Palace as well as the luxury shops of the Rue du Faubourg Saint-Honore. The department stores Printemps and Galeries Lafayette as well as theaters, cabarets and World-renowned restaurants such as those of Joel Robuchon and Alain Ducasse are only a few steps away. Larger institutions like Paris haute couture are also easily accessible. The hotel is just only 15 km from Le Bourget airport, 18 km from Orly Airport and 27 km from Roissy airport CDG. Continental breakfast is for 29 € American breakfast is for 39 € The hotel reserves the right to pre-authorise your credit card prior to arrival. We inform our guests that due to the Paris Fashion Week from 4th to 10th February we will host a private event in our lounge area . The breakfasts will be therefore proposed in the suites only from 1 to 6 October 2016 .